Well written, interesting and enjoyable but it is obviously an American who wrote the book. covers early avaition tactics of the great war through WWII, Korea, Vietnam and modern conflicts. 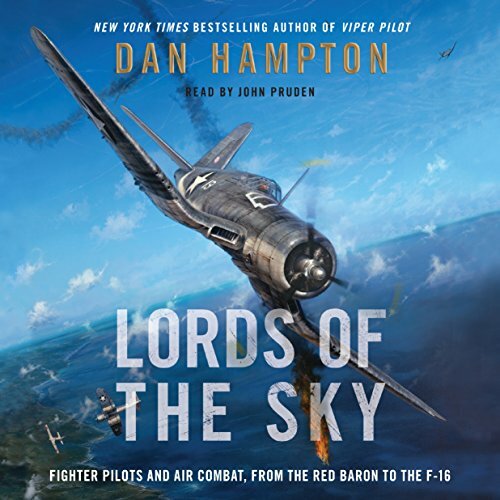 I grabbed Lords of the Sky after having read Hampton's other excellent book Viper Pilot. Most of my knowledge of air combat is from WWII and later. Hampton's history of the very beginnings of military aviation and fighter combat was very interesting. It also provides a basis to show the sharp contrasts in just how quickly aviation matured. And how some things (the core of air combat) remained the same. I appreciated the author's telling of stories from more than just an American point of view. If I had any qualms it would be that the post-Korea part of the story mostly involves Americans, SAMs, and Weasels. Given that Hampton was a USAF Weasel pilot this is not surprising. There's a good account of Weaseling in Viper Pilot and I found it very interesting. However, I think the focus here takes the story off-topic. I was disappointed that harsh lessons of air combat in Vietnam and America's losing touch with ACM prior to it weren't really touched on. Neither was the creation of Red Flag and Top Gun. John Boyd and the theory of energy-manueverability weren't mentioned. The Air Force's air superiority fighter, the F-15, is mentioned only in passing, and its replacement the F-22 is also mentioned just once (as a multi-billion dollar, single-mission waste). Those qualms aside it was a great all around book, with me learning something in every chapter. 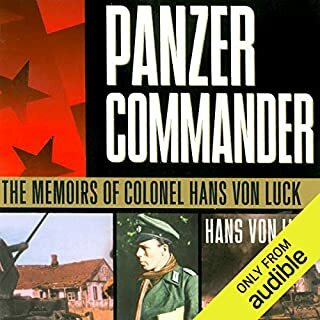 His stories do a good job of immersing you into combat in various eras. The narration was fantastic. I recommend it to anyone with an interest in air combat. 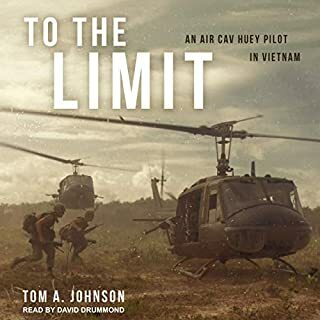 This book weaves histories of the pilots, planes, tactics, weapons and personal stories together in an informative and entertaining way. John Pruden's narration was very good. A very good book combined with a very good narration yields a very pleasurable listen. The information in this book was lost in the details. It lacked focus, and there are several examples of details that I felt were important, but left out. 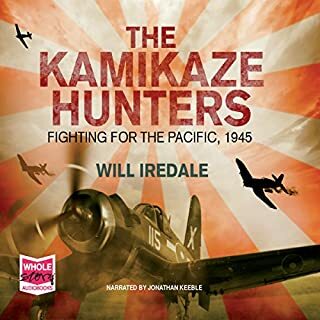 I felt that there wasn't that much emphasis on the air to air fighting in the Pacific theater of WW2 and that Japanese fighter pilots weren't given the same level of credit as a lot of the other nations. Emphasis was also made of how aircraft were improved during the wars, and again the Pacific theater wasn’t emphasized, such that the F4F and the F6F were casually mentioned as if they were the same, when in reality, they were very different. The F4F was generally inferior to the Zero, but the F6F was superior, which changed the tide of that fighting. The book started at the Great War, and spent a good deal of time on this period, but failed to mention another interesting piece of the development of fighter pilots: They didn’t have parachutes because it was thought it would make them cowardly. So even if a plane was hit but the pilot was not, he could end up as a fatality trying to land the damaged plane. Another tidbit that was left out was the period of time when dog fighting was considered obsolete. This was because weapons had been developed that allowed pilots to take out enemies from miles away without ever actually seeing them. During this time planes weren’t even equipped with guns or cannons, which are essential in close air to air combat when all missiles have been fired, or cannot be locked on the enemy. This thinking was later reversed. 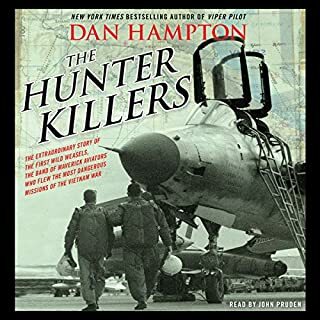 Ironically the book also briefly talked about the Israeli Air Force, which actually knew that guns were essential, and had them added to their planes during the time when they weren’t considered necessary. These are just a few examples of some of the details that could have been included. For a book that contains so much detail, it is surprising that these were left out. 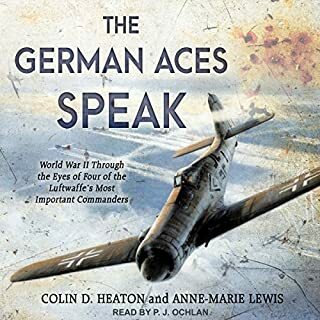 A good detailed easy to listen to the history of aviation fighters and the development of them from WW1 to Iraq. This a a great piece of history for those interested in aviation. Best if you have a basic background, i.e. know what flaps are. There is a fair amount of the surrounding history though the author sticks pretty much to the subject matter and gives background just for context. I found this book totally enjoyable but I am a history and aviation enthusiast (read plane nut) so it was a natural fit. It helps if you know some of the history but do not think it is totally necessary. The narration is great especially when he goes into "radio com" mode. Best if you are really into the subject matter as the book would be a bit detailed for someone looking for a causal read. 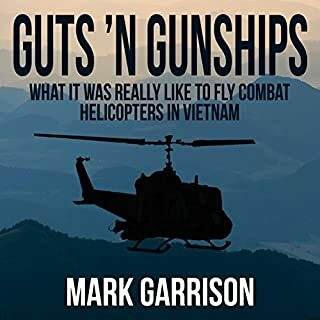 If you are very familiar with all types of airplanes, flying jargon, military anachronisms, flying formations and military terminology, you will like this book. If, like me, you are not so well versed in these things, you will find this book a slow read and a bit hard to follow. 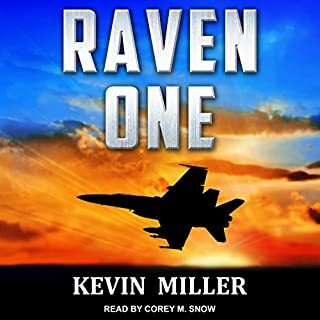 I would have preferred to see the author pick out a few key, milestone advances in fighter planes and to have developed those in detail rather than cover so many different types of planes and training evolutions. For the Air Combat Lover! Tremendous book covering major airplane designs while giving biographies of the greatest aces and the average pilot. Highly recommended! The writing is excellent. The beauty is in the details and research. 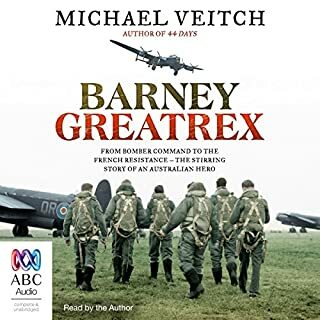 This is the best audible book I have. 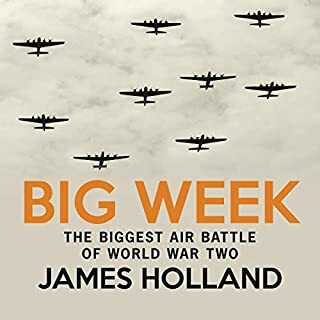 If you have any interest in aviation or war you will not be disappointed in this book. Fantastic bit of historical narrative. 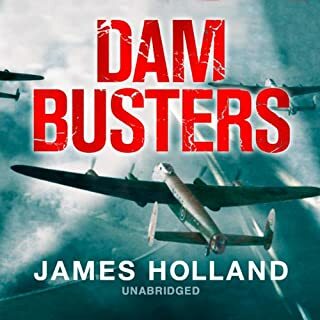 The author does a fantastic job of keeping the audience engaged with exciting stories tied together within a well-researched historical context. The narrator likewise does a great job with the delivery. 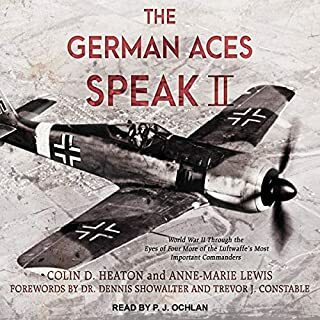 I would recommend this audiobook to anyone interested in military history and especially in the history of aerial combat. This book is 90% a history lesson on the causes of the wars in the past century and 10% actual flying and combat. It’s very well researched and written however very little flying. Would you consider the audio edition of Lords of the Sky Unabridged to be better than the print version? What was one of the most memorable moments of Lords of the Sky Unabridged? 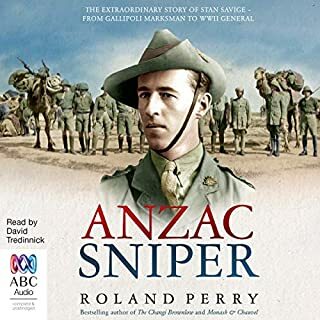 I really liked this book and would recommend it but in-line with some other reviews the content of the book was slightly different to what i anticipated. 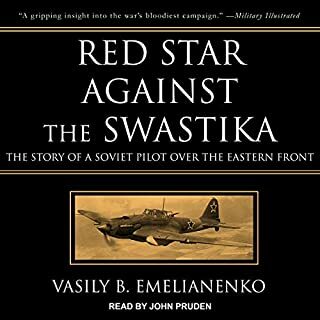 I expected a book purely concerned with fighters and the pilots who flew them but large chunks of text are taken up with historical notes on the campaigns behind the fights. While these are done well anyone will a good understand of the conflicts may find these sections frustrating. 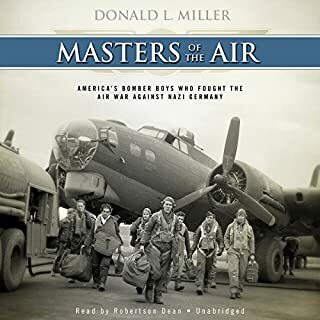 The core material focusing on the planes and pilots was done very well with the admiration the author has for all the aviators shining through. How American fighters won pretty much every war. Would you try another book written by Dan Hampton or narrated by John Pruden? No. The writer left some glaring errors. No mention at all of German night fighters in WW2 for instance, nothing on the Falklands War, which was unique and very interesting. No mention of one of the best fighters of WW2, the Mosquito. None of these events involved the US and that may be the reason, yet there is reference to the Yom Kippur War. The reader mis-pronounced many names and places. What was most disappointing about Dan Hampton’s story? The very American standpoint of the book made me wonder if Britain was ever involved in Korea for example. 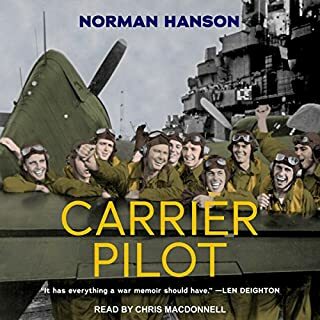 The writer describes in detail the success of the few US pilots that got airborne at Pearl Harbour when in fact the day was a big defeat for America. The writer is very partizan. The reader mangled many English words (he pronounced "Blenheim" as "Blen-hime" instead of "Blen-im" for instance) and I cringed as he said French and German names and places in neither the way they are said in their language or how English speakers commonly say them. He also has a strange, halting way of reading which isn't very fluent or comfortable to hear. If you could play editor, what scene or scenes would you have cut from Lords of the Sky Unabridged? There's a lot of blow-by-blow description of Vietnamese and Gulf war air-to-ground bombing missions with transcripts of radio calls. This is irrelevant in a book about fighters and quite boring too. 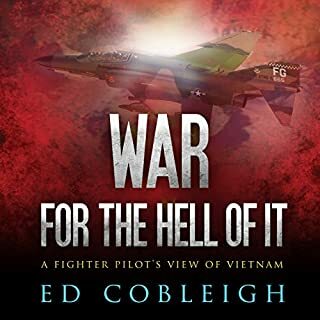 If you know nothing about the history of fighters, this will give you some insights but it's incomplete and written from a very American point of view and therefore suitable for non-US audiences. 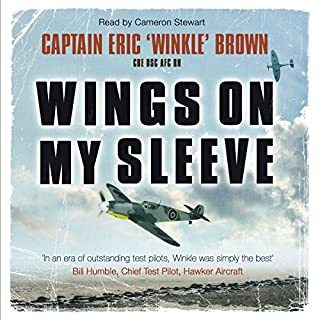 A magnificent insight into the minder of a fighter pilot. An interesting historical analysis of the fighter pilot and how air warfare has changed since its inception during the Great War. A masterful, educational study of how a pilot has adapt I'd to the new threats and differing methodology of dealing with these threats. I found this book informative and entertaining. A well written 'book' which is both informative and entertaining. The battle descriptions really put you in the cockpit with the pilots. Air combat from the start, a brilliant insight. If you love Combat Aircraft & your history this book abyss of Knowledge you must read! What did you like most about Lords of the Sky Unabridged? 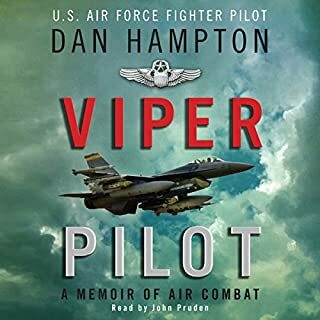 After reading Viper Pilot I was keen to once more hear Dan Hampton's wonderfully worded proles on the ballet of air combat, to on non-flyer he really brings to life the excitement, terror and also the unbelievable complexity of dogfighting, so much more than point and shoot. The historical background provided was at just the right level and in fact is quite excellently written. Hampton is quite opinionated and makes no apologies for it. The performers' tone and accent fits perfectly with I'd imagine from a seasoned USAF pilot, not to mention the sound effects!